Did you know that your lawn has a major impact on the structural integrity of your concrete? This applies to walk ways, sidewalks, driveways, and much more. Any part of your yard that hangs over or touches your concrete could influence your concrete damage later on. In the tips below, we will show how proper lawn care can preserve your concrete driveway so you can avoid concrete replacement in the future. If you have weeds and overgrown plants around in your driveway, the root systems can damage the foundation underneath the slab and eventually cause the concrete to become unlevel. 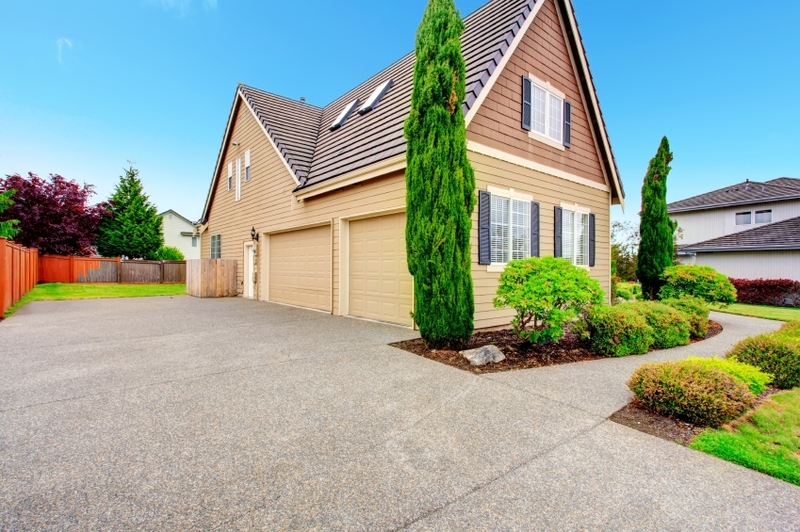 At this point, you will either need a concrete leveling, concrete repair, or a completely new driveway. It is best to keep the plant life at a minimum near your driveway. Use a weed eater to trim the edges so that way the plants are kept it came as possible. If you have trees or bushes that hang over your driveway, they may damage your concrete by bringing water in on a regular basis. As this water freezes, melts, or builds up underneath the concrete, damage occurs. Try to keep overhanging plants trimmed down so they do not drip water onto your concrete very often. If your driveway is uneven, you may also want to look into concrete leveling to improve drainage and reduce your overall damage. Keep in mind where the water is flowing from your gutters as well, as that may impact your driveway. Even though moss might look interesting growing in between the cracks in your concrete, it can get large enough to pull separate slabs away from one another. If your driveway is cracked from existing damage, the damage will get even worse with the moss growing in between. A power washer can get rid of most moss and weeds that grow in between concrete cracks to minimize the amount of damage you incur. If you want to have the best curb appeal possible, keep your yard cut and your plants trimmed down. Not only will this make the yard look more presentable, but it will also expand the lifetime of the concrete. Keep up with your yard work throughout the year, and you will be able to avoid major concrete repair in the future.